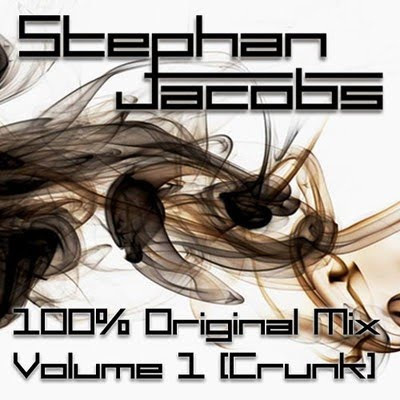 Stephan Jacobs from L.A., who is also half of Kether duo, has sent me a great mix feturing 100% original music and a few of his newest remixes. Applying tight mixing skills, Jacobs presents a masterful fusion of pulsating heavy bass deeply rooted in dubstep and twisted glitch-hop beat while not shying away from softer electro touch. He devotes lots of attention to detail and relies not only on the sheer power of whomp & stomp (though this factor of course dominates his music), but also works very well with female vocals and makes sure that the space between the sick drops is filled with equally interesting content. What is more, he crunks up his productions in a manner similar to some other of my favorite 'metal glitch' artists, like Ben Samples from Denver or Freddy Todd from Detroit, which Doktor Krank LIKES A LOT!! Starting from the highlight of the mix, one of the fattest glitch-hop-meets-dubstep tunes I heard last year You Know They Love Dat, through beautiful and infectious remix of Benny Benassi's old-school rave classic Love Is Gonna Save Us turned into crunky bassline monster, or pretty unsettling collaboration with a vocalist Binah D'Amour in Closer, to dirty, filthy wobble of Bassface remix, Stephan Jacobs delivers 30 minutes of continuous, eclectic heavy bass meditation transgressing the boundaries of traditional music genres. I really encourage you to go for a ride with him.